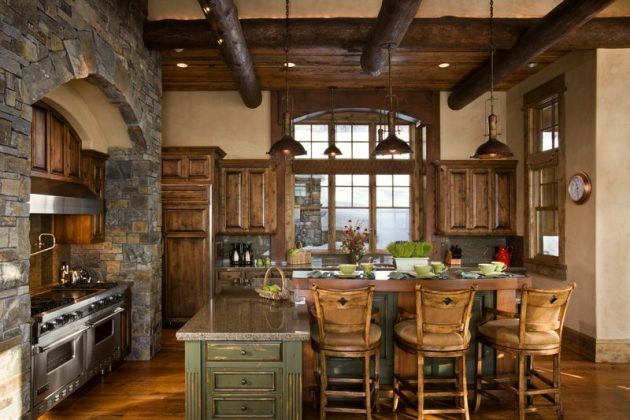 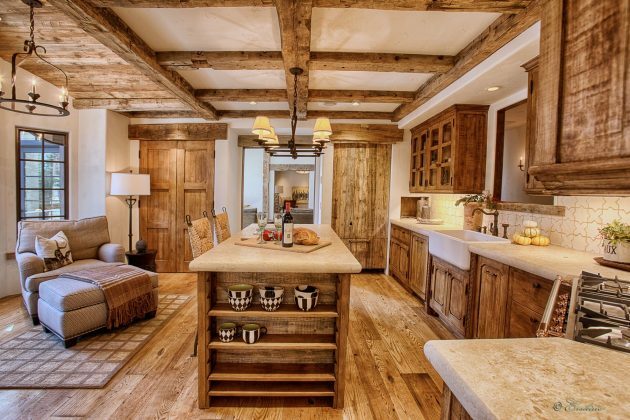 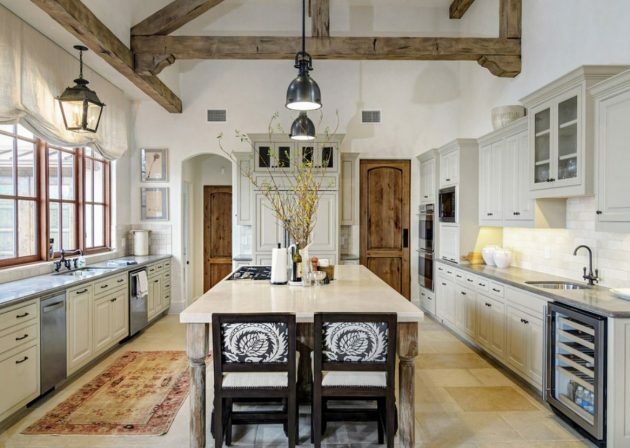 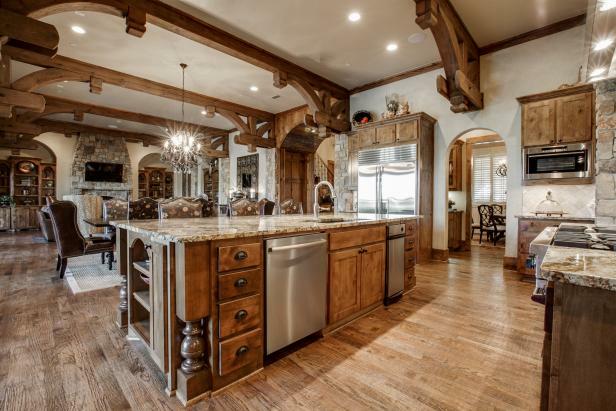 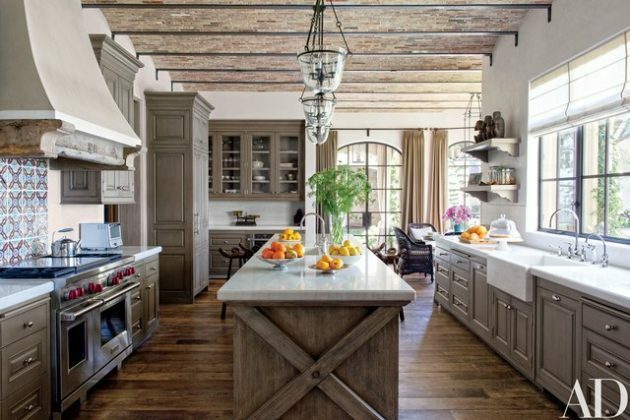 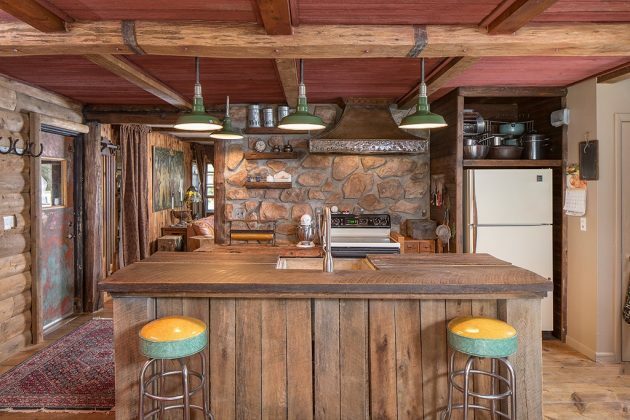 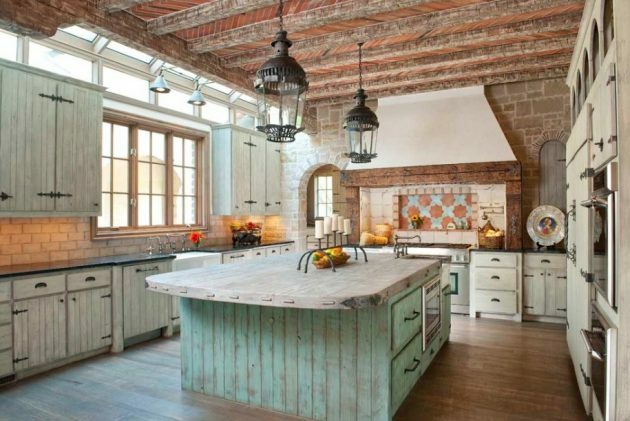 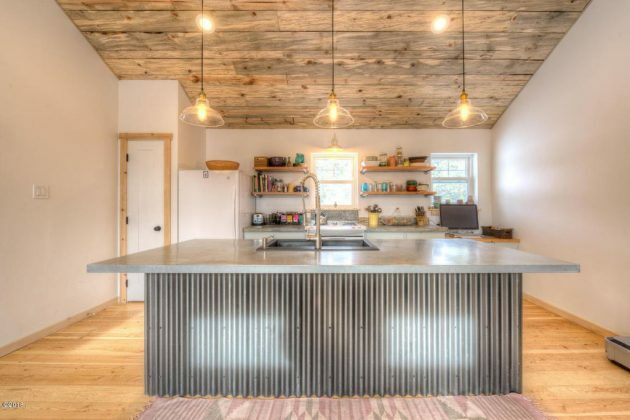 Rustic-style kitchens slowly conquer the market and become very popular. 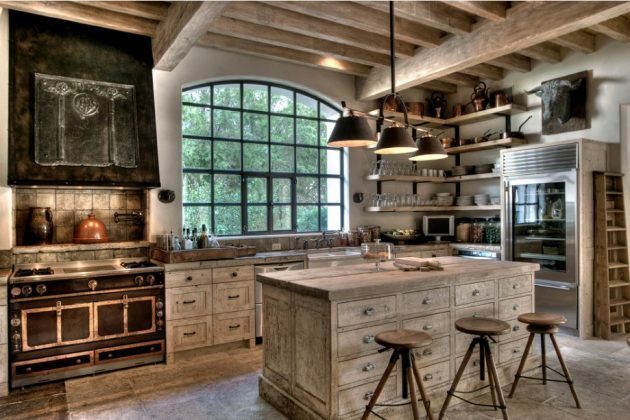 The basic element without which one can not be imagined one rustic kitchen, is the wood. 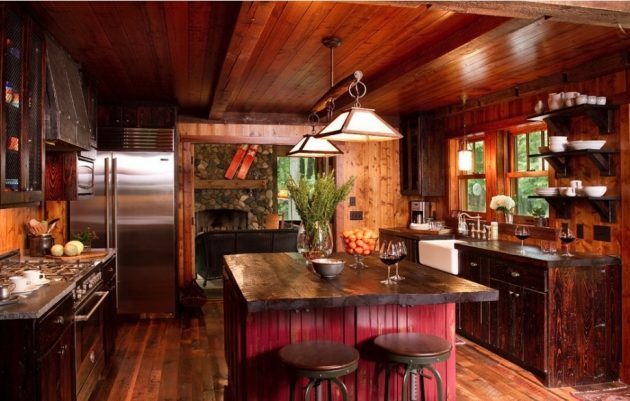 Wood as a material, besides being one of the best quality, gives to each space pleasant warmth and comfort. 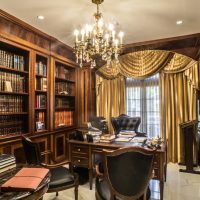 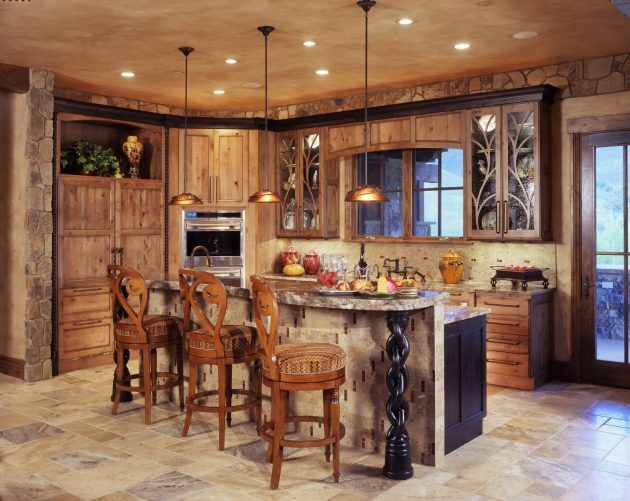 The wood does not have to be only in its natural color. 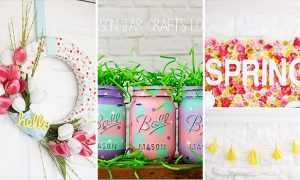 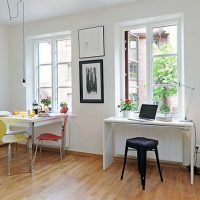 Recent trends have allowed the wood to be painted in pastel colors, which are particularly popular in blue, soft pink and lime green. 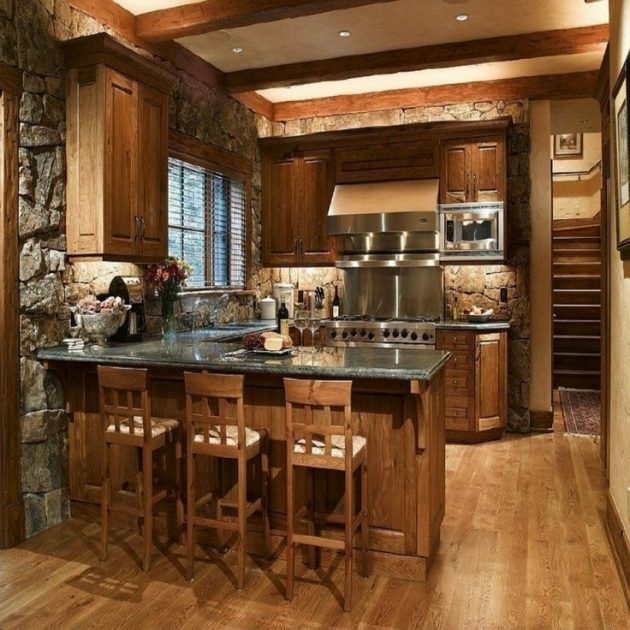 Except for the drawers and hanging parts of the kitchen, it would be good to enter wooden table and a couple of chairs, if there is a place in the kitchen. 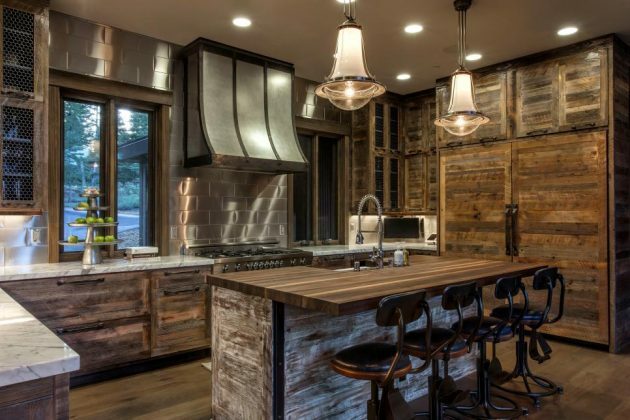 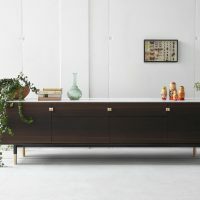 A rustic kitchen can also be made of MDF, but processed in a special way. 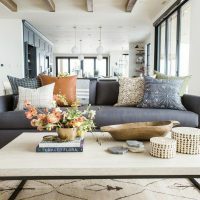 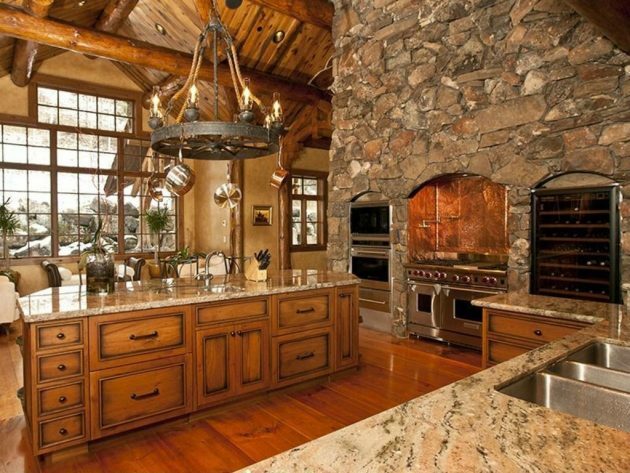 Another important elements that will contribute to the special atmosphere in the rustic kitchens, are stone tiles, wooden floors, decorations made of raw wood, beautiful curtains and tablecloths made with a handmade lace, etc… You can also put rugs made of natural fur on the floor. 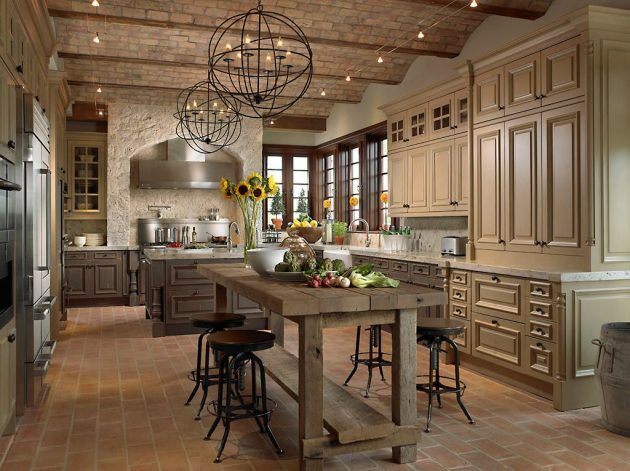 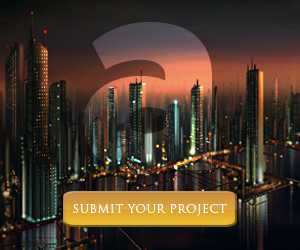 All this together will contribute to designing of amazing rustic kitchen with charming appearance. 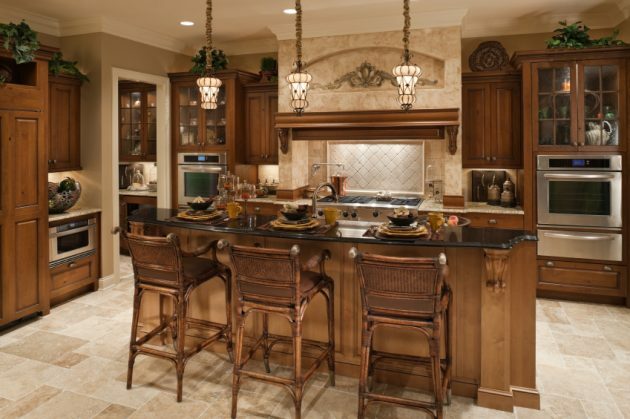 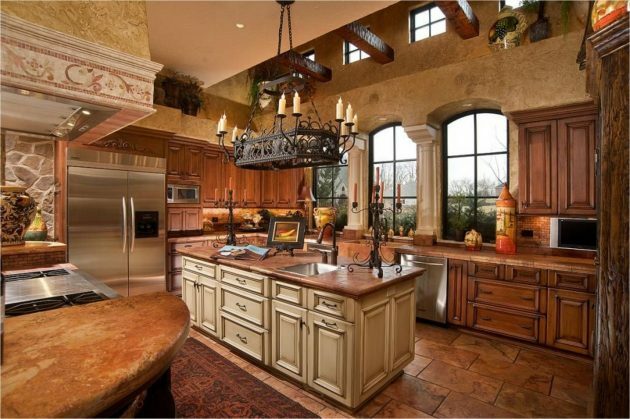 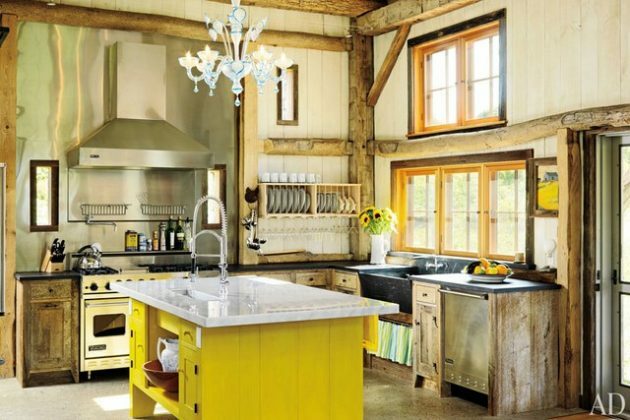 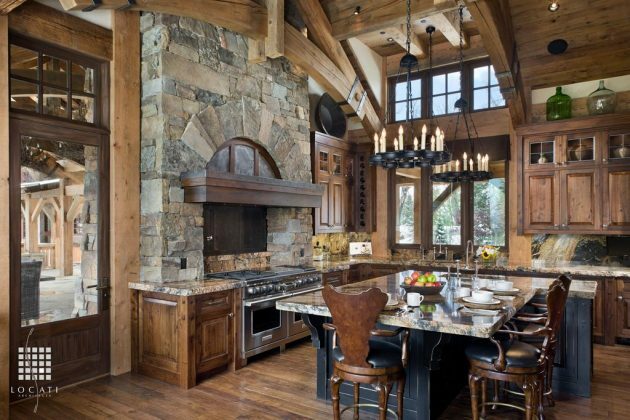 We present you some outstanding kitchen designs that abound with pleasant rustic charm!